Lots of paddlers aspire to have five canoes. A lucky fraternity passed the five canoe mark one or two garage stalls ago. You can either wear this shirt as a future hope or a memento to a time when your canoe options were very limited. These navy blue shirts with metallic gold ink are all cotton and will shrink if put in the dryer. We held a T-shirt contest. Barry Kalpinski won the contest and Cliff Jacobson’s canoe for creating this design. We think the design is awesome and hope you do too. These navy blue shirts with metallic gold ink are all cotton shirts and will shrink if put in the dryer. 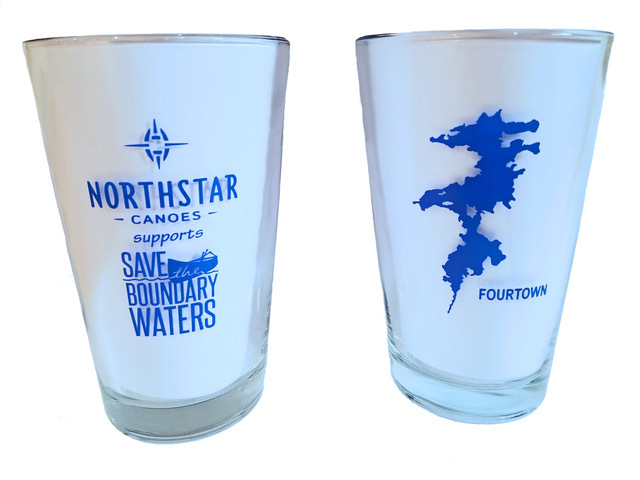 Don’t miss this collectible, limited edition BWCA pint glass. Get these glasses while you can, when we run out of a lake’s glass, we’ll introduce a new one. What’s better than a beer after paddling? 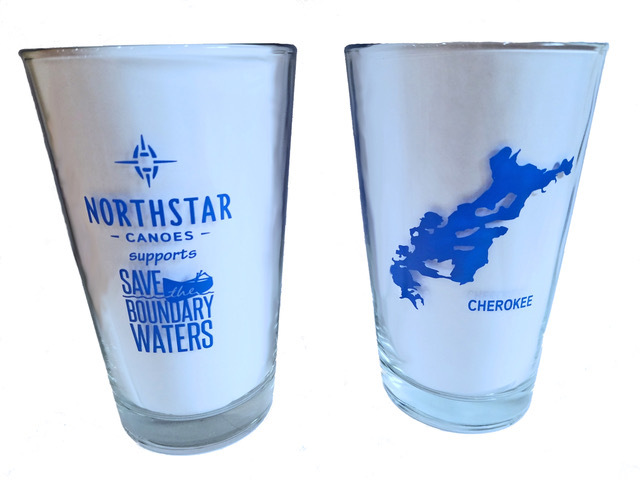 Drinking it from a charitable pint glass – we’re donating the entire $8 from each glass to Save the Boundary Waters! Help stop sulfide mines. Drink beer. p.s. Fast, low budget photography means the glasses may look like plastic, but are glass. Most people refer to this black hat with metallic gold thread as either a military or painter’s style hat. Our shorthand for it in the office is the Castro hat. You’ll need to wear this if you’re going to start a canoe revolution! 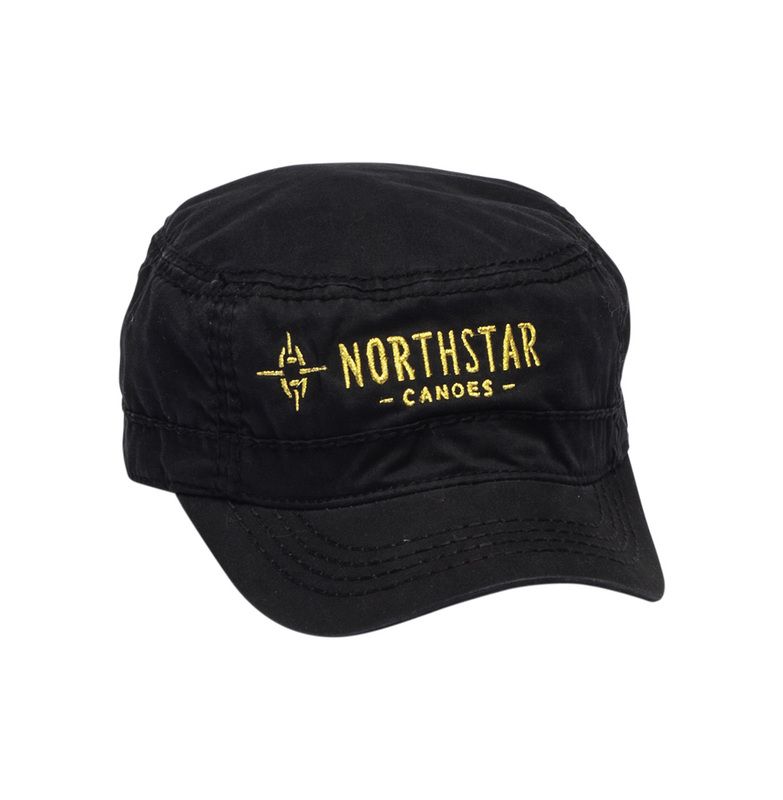 This high quality black hat with metallic gold thread will keep the sun out of your eyes. 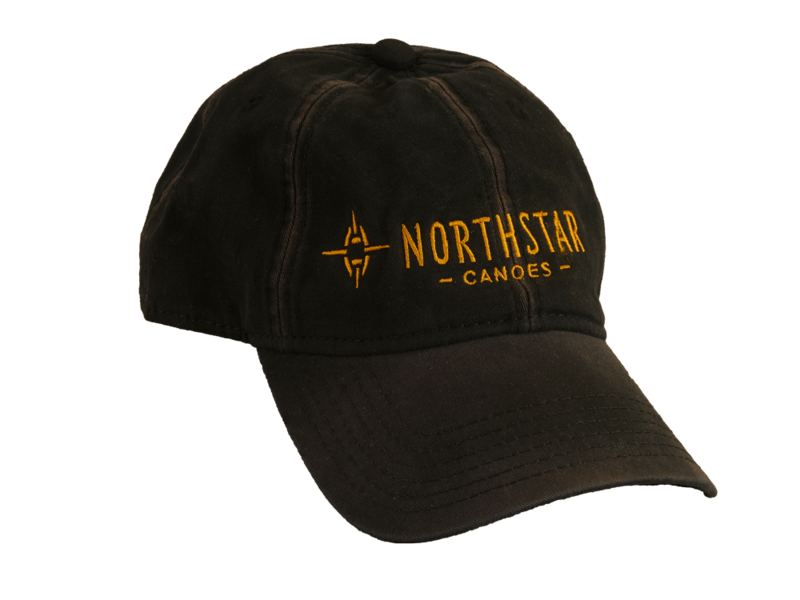 For the days when an early morning paddle takes precedence over a shower you can wear this classy hat all day long. This shirt, like the eight canoes in your garage, will cause some bewildered looks. 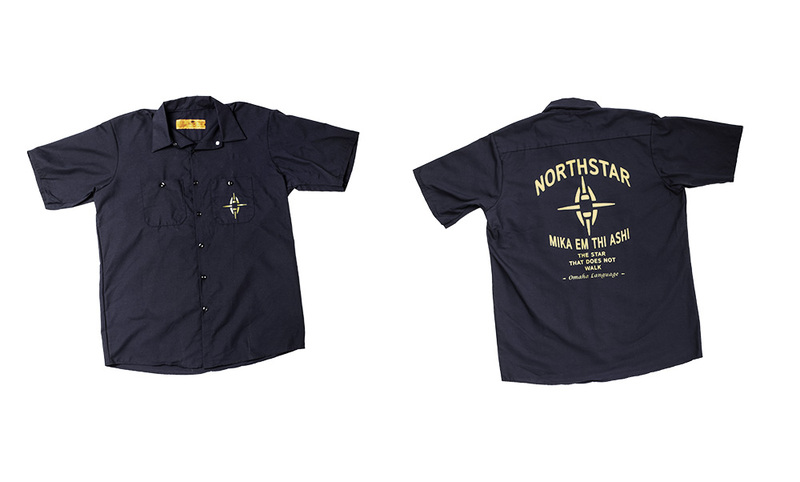 We love the double meaning of the Omaha’s name for the Northstar. 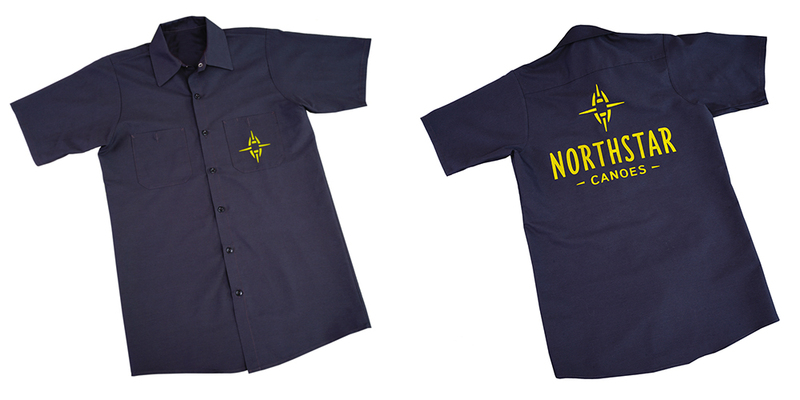 Navy blue shirt with metallic gold ink. Bob Marshall, the early wilderness advocate and New York socialite, returned from an expedition to find his tuxedo moth eaten. He strategically placed black shoe polish on his underwear to mask the moth damage. Some might have decided it was time for a new tuxedo or perhaps a work shirt? Gray with metallic gold ink. In 1834 Sir George Back commanded the first exploration of the Back River in the Canadian Arctic. He descended the river wearing a top hat and tails. Hopefully this comfortable gray T-shirt with metallic gold ink will suffice for your most formal expeditions. Henry David Thoreau wrote, “I say, beware of any enterprise requiring new clothes.” Fortunately, canoeing doesn’t require new clothes. However, this shirt will be a dramatic improvement over the old, ratty one you’ve been wearing. Natural colored shirt with black ink. Sized perfectly for water bottles, coffee mugs, refrigerators and elevator doors. 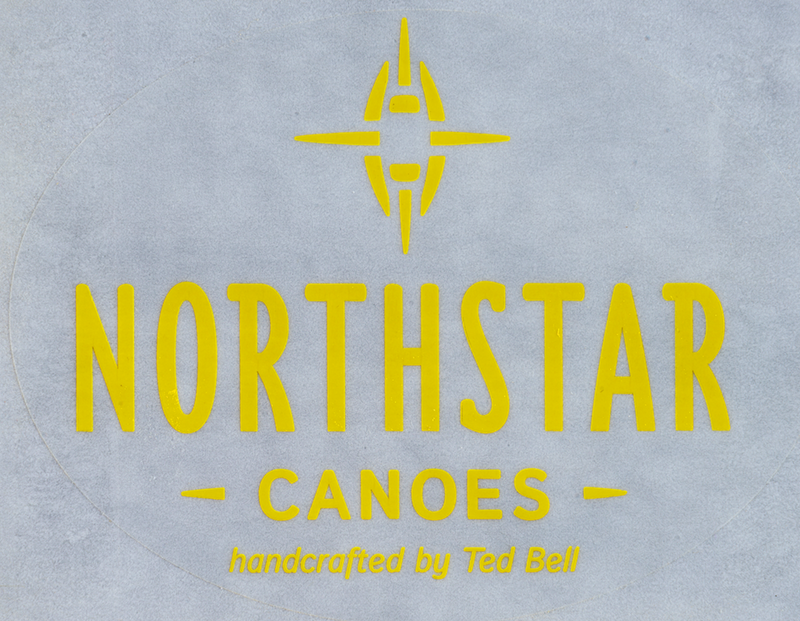 The same Northstar logo decal that adorns the bows of our canoes. 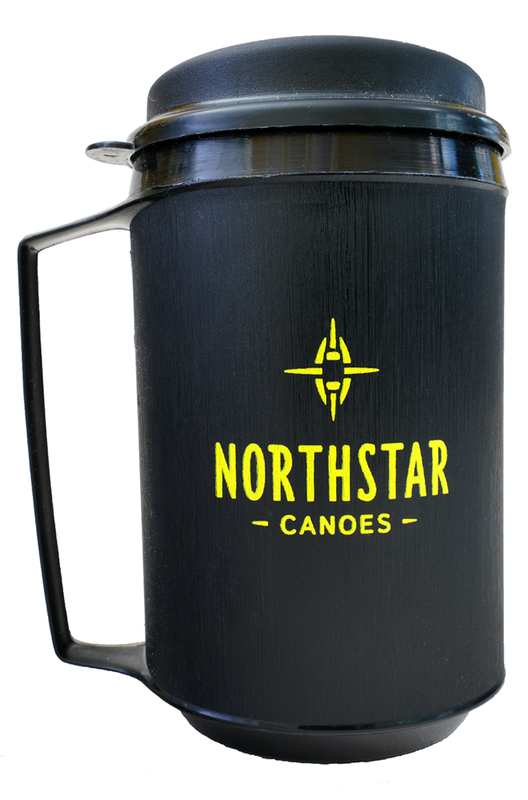 This mug will help you get on the water early and celebrate your adventures late into the evening. We recommend coffee with a dash of whiskey, followed by dark rum with lemonade. First aid for your beverage. Ted has had 3 golden retrievers: Buddy, Maggie and Dakota – a fourth, Louie, is 6 months old and currently reducing a scrap 2×4 to wood shavings on the office floor. Buddy’s signature paw print die cast in aluminum. 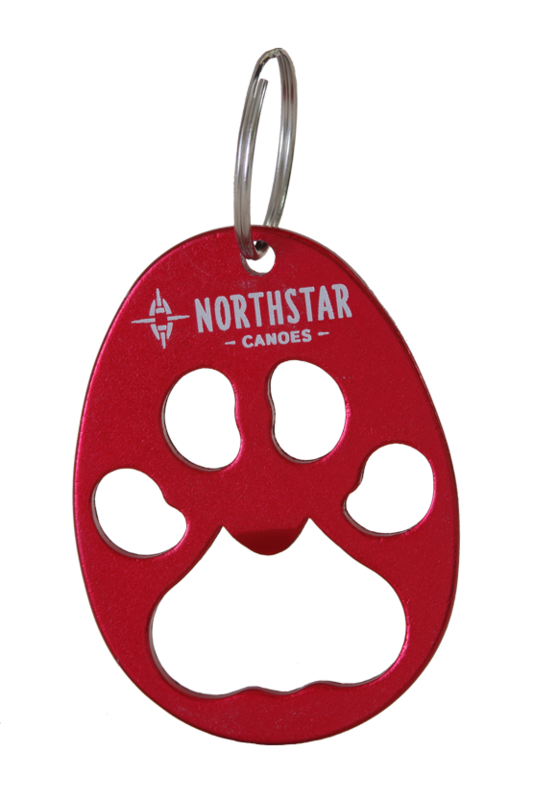 Key ring keeps it handy in emergencies. Die cast in aluminum. Assorted colors. Key ring.